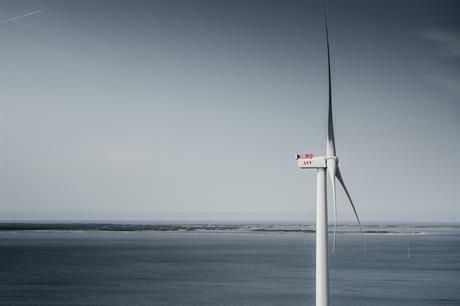 DENMARK: Offshore turbine manufacturer MHI Vestas has completed an upgrade on its V164 turbine to increase output of 9MW, breaking the 24-hour generation record in the process. The joint venture said its prototype at the national test centre in Osterild, west Denmark, was upgraded to produce the higher output, following previous evolutions of the 8MW turbine to produce 8.2MW and 8.4MW. On 1 December, the newly upgraded 9MW turbine produced just shy of 216MWh of electricity in 24 hours, the manufacturer said. "We are confident that the 9MW machine has now proven that it is ready for the market, and we believe that our wind turbine will play an integral part in enabling the offshore industry to continue to drive down the cost of energy," said MHI Vestas chief technology officer Torben Hvid Larsen. In October 2014, a V164 8MW prototype broke the 24-hour production record by generating 192MWh of electricity. Installation of the 8MW turbine at its first commercial project, Dong Energy's 258MW Burbo Bank Extension site in the Irish Sea, was completed in December 2016.